Formula One will have a race in Azerbaijan until at least 2023 after a new deal was announced on Tuesday. 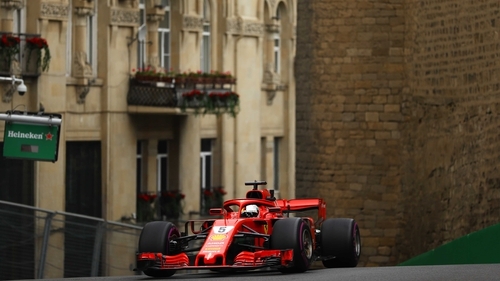 The grand prix on the streets of Baku was due to expire next season, but a three-year extension has been agreed. Azerbaijan, a race put together by former supremo Bernie Ecclestone, made its F1 debut in 2017. It is understood to pay the highest fee on the calendar, estimated to be in the region of €50 million-a-year. Last season's race was won by Lewis Hamilton. "In just a short space of time, this race has become one of the most popular of the season, always producing closely fought and spectacular racing," said F1 chairman Chase Carey. Ahead of the summit, the Formula One Promoters' Association issued a deeply disapproving statement about how the sport was being run. Following the day-long summit, Stuart Pringle, chairman for FOPA and Silverstone managing director, said there was "a basis for a discussion going forward".